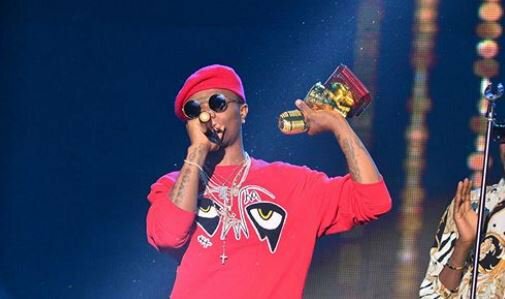 The Star Boi Boss Wizkid’s fans have taken to thier various Twitter Handle to list Wizkid’s achievements under the hashtag #WorldWizkidDay. #WorldWizkidDay is the number two trending topic on Twitter at the time of this report with fans eulogizing the ‘Ojuelegba’ singer. The trend started after videos of his interview with a US radio station went viral. The hosts of the show were star struck and attempted to take photographs with Wizkid while the interview was ongoing. Following that, more videos of his career milestones flooded the timeline included his O2 show, his major interview as an upcoming artist, his iconic visit to a racially diverse London high school and his declaration at Minnesota.